Hackers have been stealing credit card information for years, but in the past few months, the scope and frequency of these massive attacks has increased. 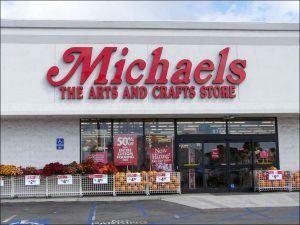 Following the attacks against Neiman Marcus and Target, which left millions of customers at risk of fraudulent credit card charges, arts and crafts chain Michaels has announced that it may have been targeted as well. Although the attack itself has yet to be confirmed, Michaels cites customer reports that their credit cards had been compromised after being used at one of the chain’s locations. Since it is quite possible that Michaels was hacked and that credit card information was stolen, it is telling customers that they should remain vigilant by paying close attention to their credit card statements. With thousands of stores throughout the US and Canada, any attack against Michaels could have resulted in damages similar to those that have been linked to Neiman Marcus. An investigation is still underway, and Michaels has yet to say how many accounts may have been attacked, but it does seem likely that a significant amount of recent customers may become victims of credit card fraud as a result of the breach. Summary: Michaels has announced that it may have been hacked and that credit card information may have been stolen. If the arts and crafts chain was breached, it would be the third major attack of this kind in the past two months.